Protects wood against moisture absorption and mold and fungi growth. Linitop Base stabilizes the wood and reduces the risk of cracking. Apply an undercoat before stains and paints. Linitop Base is a primer for new wood outdoors. 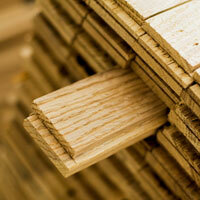 Protects wood against moisture absorption and prevents the growth of mold and fungi. Improves the adhesion of finishing products. 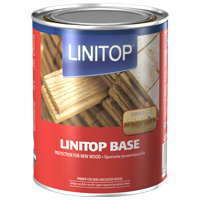 Linitop Base can be applied on softwoods, hardwoods and autoclaved. Linitop Base is ideal on terraces, cladding, doors, tiles and wooden garden furniture. Do not apply on water repellent wood. The protected wood must imperatively be sapwood purged. The pores of the new wood have to be opened, without mill glaze. If coated by water based products use Linitop Wood Prim. Do not apply if it should rain in 24 hours. Apply at a temperature between +5°C and +30°C. Protect surfaces which will not be processed.